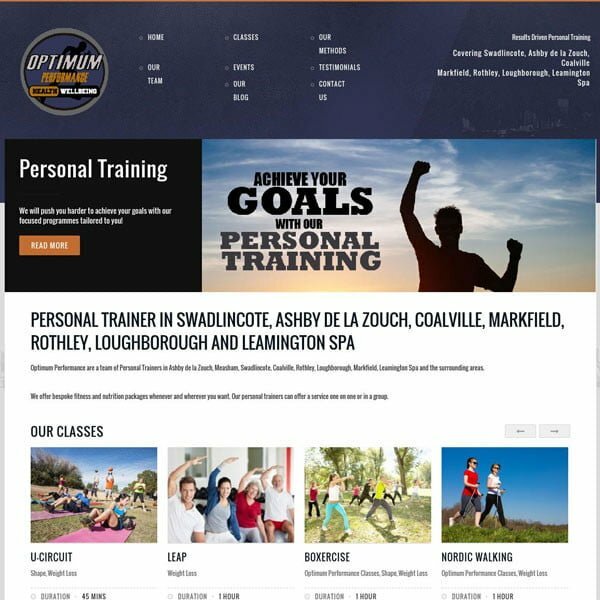 Optimum Performance are a group of personal trainers based in and around Ashby de la Zouch and have been a client of DLZ Design since 2010. The brief was to update their existing site to enable them to edit the content themselves and also blog about the great things which they do. We created a cms website to display all of the different service, fitness classes and events which they run. All of which can be edited by them.